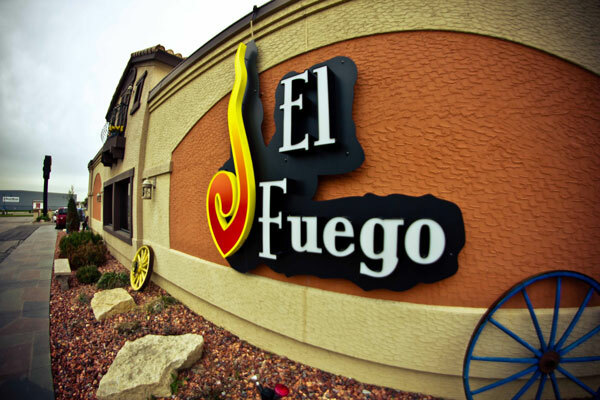 It may be more than 1,200 miles from the Rio Grande but in the blink of an eye, an authentic Mexican experience appears at El Fuego. With shrimp and seafood specialty dishes pulled fresh from the deep sea, open air markets and waterfall patio verandas, El Fuego will take you away from the moment you walk through the doors. We specialize in authentic Mexican cuisine and cocktails. The margaritas can't be beat! Our specialty banquet hall is perfect for special events ranging from corporate and private parties to wedding nights. We encourage you to stop by our 10th & Layton restaurante and enjoy the experience for yourself. "This Mexican restaurant has a patio lined in pueblo-styled brick walls with Mexican pottery and plants. The centerpiece of the patio is the massive waterfall which babbles away as restaurant goers enjoy their Mexican fare." "Our winner for best Fish Taco...what a great place to come with a group of friends to throw back a few margaritas, get some sizzling fajitas and have a great time. This large restaurant was percolating with loud laughter, pitchers of margaritas, friendly wait staff and families celebrating birthdays." "The Mexican eats -- like the tamale chimichanga enchilada and flautas -- pair ideally with the ravenous hunger your tequila consumption will undoubtedly work up"